My Deal Me In deck turned up diamonds this week, which means fairy stories, and I just so happened to read an original fairy story this week. Some time ago, Tammy Breitweiser recommended Kelly Link’s MAGIC FOR BEGINNERS, which I bought but have not yet read. This week, Tammy pointed her blog readers to Small Beer Press’ Free Stuff To Read, which, through this link, is Kelly Link’s “The Faery Handbag” from … yes, you’re way ahead of me … MAGIC FOR BEGINNERS. The story is beautifully written, with just a touch of the repetitions that are part of fairy tale style. Otherwise, the prose is deceptively transparent, invisibly hinting at magic realism–or is it actual magic? Are the prosaic explanations true, or the fantastic suppositions? Is the main character delusional, or clear-sighted? It hardly matters. Like the hairy handbag or the (happily) unseen skinless dog, everything is a matter of perception. Marvelous story! Marvelous writing! Again, THANK YOU, Tammy, for the recommendation! If YOU need a short story to read, I have free ones here on my Free Reads page. I also have four collections for 99 cents each linked from my Short Stories page. A WRITING PROMPT FROM ME TO YOU: Write about an elderly woman’s handbag. 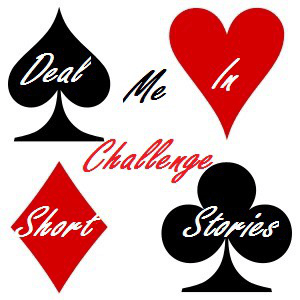 This entry was posted in Deal Me In short story reading challenge. Tagged fantasy, Kelly Link, short story review.